As every affiliate marketer knows, Google doesn’t like the promotion of affiliate offers through its Adwords platform very much. In fact, if there were to be an alien invasion centred on its Mountain View campus and only a solitary ‘Googler’ survived, I can pretty much guarantee that that person’s first priority would be to disapprove affiliate-related Adwords campaigns. Dare to attempt to use Adwords for promoting affiliate offers, and you risk receiving, at best, a virtual ‘slap on the wrist’, and at worst, suspension of your entire Adwords account. Oh, and you are very unlikely to have an Adwords account suspension revoked. Ever. It’s an issue, because there’s little doubt that Google Adwords traffic is highly motivated, and can provide the best conversion rates out there if managed effectively. The good news though is that Adwords has become synonymous with high click costs, driven up by hungry corporate advertising budgets, and the resulting cost-per-conversions can be as high or higher than alternative traffic sources. Make no mistake – there are hundreds of ad networks out there (see a few of them here), to include some fairly horrendous traffic sources (I have decided not to name names, but if you invest in a decent tracking platform, it’s not that hard to determine where the junk traffic comes from). Imagine a cornucopia of fake traffic, inaccurate targeting, brand-destroying placements and you are somewhere near the quality of traffic to expect from some. However, through these murky, sludgy money-pits, there is quality to be found. So, I decided to list a few traffic sources that I know can be effective if if managed correctly. This is not a ‘get rich quick’ list, and you should be tracking every click into your landing page down to referral/keyword level so you can optimise over time and assess viability. Note – the idea behind the publication of this post is to ignore the networks that everybody already knows about. So, although these are all capable of driving very high levels of good quality traffic, I will assume that you already know about them and thus, I will not be covering them in the main list. Also, the list does not cover mobile-specific traffic sources that I will cover separately over the next few weeks. If you are not already buying traffic into mobile-optimised affiliate offers and/or cost-per-install offers, you have to start now! (subscribe to our blog by adding your email to the box on the right-hand side of this page for future guides and updates). So, without further ado, here is a summary of 9 Adwords alternatives that may be used to run affiliate offers and drive profitable returns (in alphabetical order). Plenty Of Fish Ads (POF) is extremely user-friendly and easy to set-up, and low minimum fees provide advertisers with a low barrier to entry. 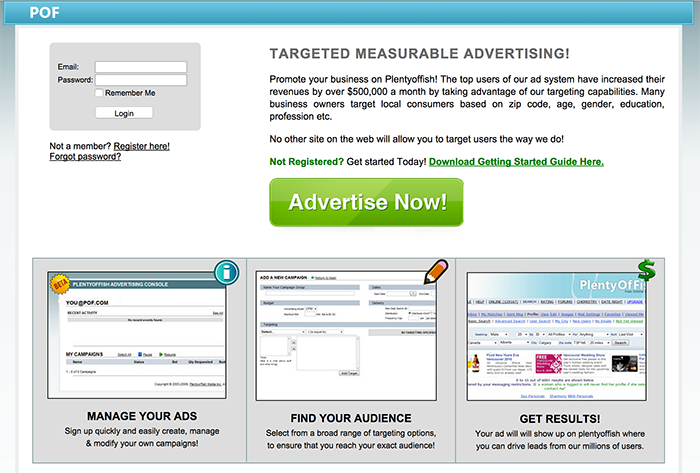 The real benefit of using POF is its advanced targeting; very few ad platforms allow you to target so tightly. For example, if you are looking to target religious, overweight ladies who drink and smoke too much with brown hair who play bingo, then you can. And much, much more. Country, State/Province, Zipcode, Age, Gender, Education, Profession, Has Children, Games, and Puzzles, Body Type, Drinking Habits, Looking to Marry Soon, Ethnicity, Height, Income, Login Count, Marital Status, Religion, Search Type, Smoking Habits, Session Depth, Hair Color, Has Car, etc. 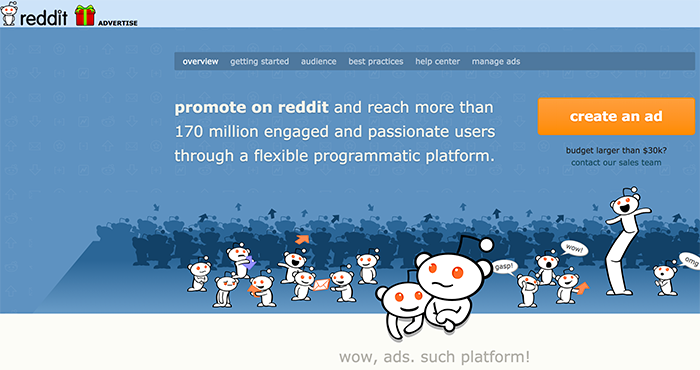 Reddit attracts an audience that prides itself on being internet savvy. With this in mind, affiliate offers that work the best on Reddit tend to be technology, software or innovation-related offers. Redditors will generally see through any hard-sell, so if you were thinking of advertising PPI or maybe the next acai berry weightloss aid, Reddit might not be the place for you. Ad targeting is based on subreddit selection which can work pretty well although there is a lack of demographic targeting. I strongly suggest using your tracking platform to optimise on a per-subreddit basis. 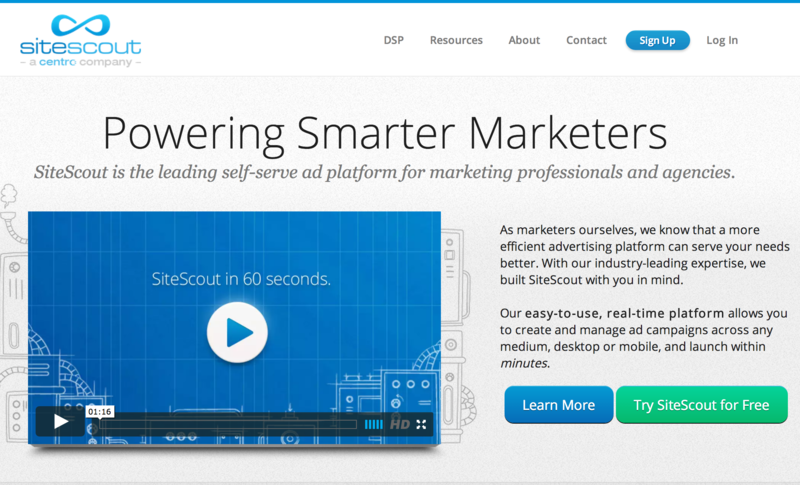 Sitescout is a highly accessible self-service DSP (demand side platform) ad network that integrates with all of the major ad exchanges (including Facebook), allowing you to buy banner media buys on the websites (or mobile app’s) of your choice. 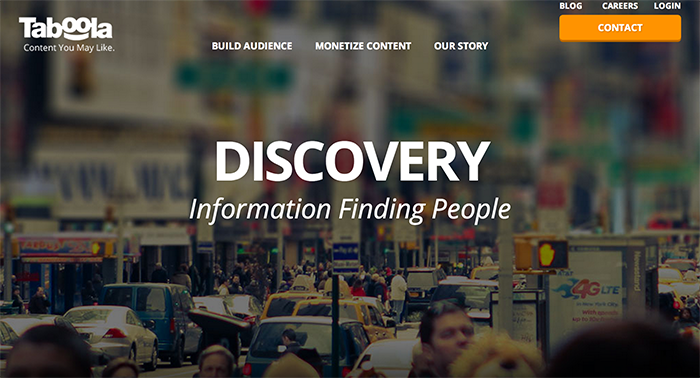 Sitescout has very granular targeting and also offers audience-building through retargeting and then the targeting of your audience lists on a run-of-network basis. Newbie-friendly, good support, and a huge traffic potential (both desktop and mobile) mean that Sitescout should certainly be a part of any media buyer’s arsenal. Be careful though – target tightly initially and then spread from there, otherwise you may burn through your budget in seconds rather than days! The growth of native content ads and paid content promotion has been extraordinary, and Taboola are a primary player in the sector. Now claiming over 400 million unique ‘eyeballs’ per month for their ‘recommended content’ ad widgets (across both desktop and mobile), they can drive significant traffic volume. Taboola ads are shown across a wide range of premium inventory websites to include the likes of Time Magazine, Bloomberg, CNN, Huffington Post, etc so brand protection is rarely an issue. Recommended for content sites that draw the visitor in through content attraction, rather than hard-sell landing pages. Trafficvance are a leading provider of both in-text ‘textlink’ ads and ‘targeted interstitials’. Both ad formats can perform very well, but the optimisation of your targets (make sure you are tracking conversions down to placement level) is crucial for success due to the competitiveness of each ad placement. 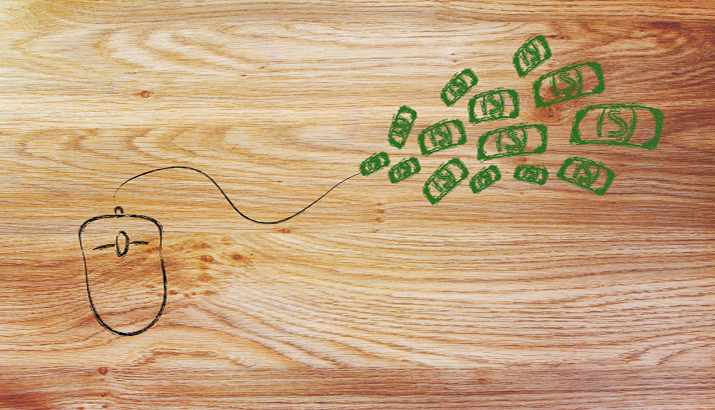 Poor targeting will destroy your cost-per-conversion figures. 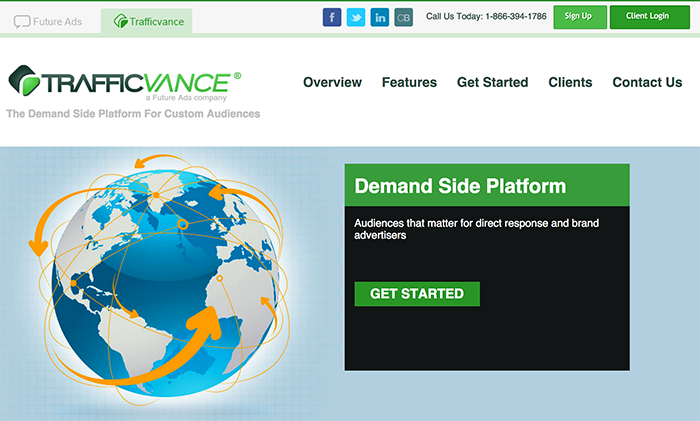 We have seen good levels of success through the use of Trafficvance interstitials (otherwise known as popups! ), which can be targeted to pop abased on either keyword or domain. Vibrant offer native advertising with a wide range of in-content and banner advertising solutions and I’ve seen some very positive results from their traffic. All traffic is initiated by the visitor (no forced banner views), and can be run across both desktop and mobile devices. Vibrant have some very well know brands utilising its traffic reach (Unilever, HP, Microsoft, Jaguar,VISA, etc), which all serves as testimony for their traffic quality. 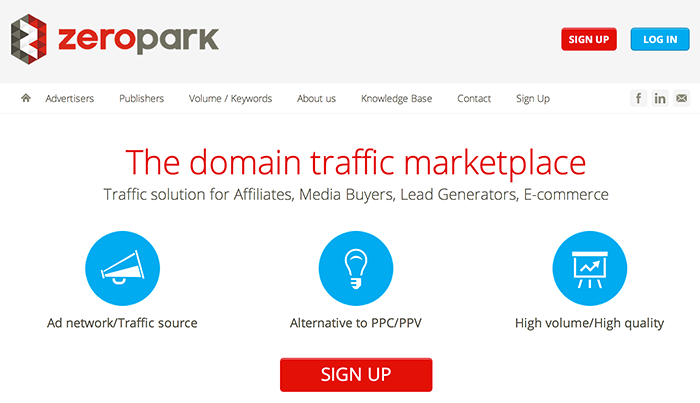 ZeroPark is an ad network that openly advertise their willingness to work with affiliate marketers. ZeroPark focus primarily on traffic that hits parked domains and is then redirected to your landing page, with over 16 million domains currently included in their supply-side inventory. 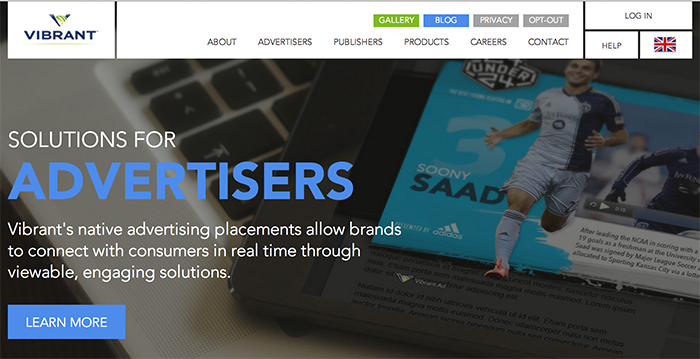 They also offer CPV popup advertising options that I am yet to try but have heard some positive things about. 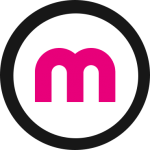 They offer global reach and a good number of targeting options to include GEO, keyword, desktop, mobile device, browser, and OS. 50onRed’s inventory of in-text, banner, CPV, and search can perform very well to most offers and have excellent support to guide you through the set up of your first campaigns. In addition, you are able to efficiently manage all but banner campaigns yourself using the intuitive 50 On Red self-service interface. Pricing of CPV traffic is reasonable and they have a good reach across most of the major global territories. 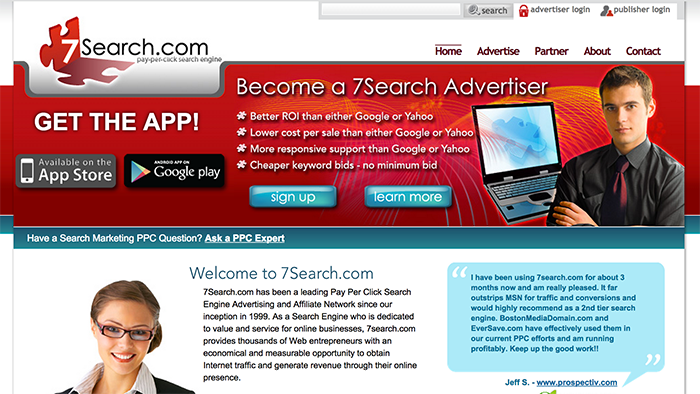 7Search is a 2ND-tier PPC network that has been in existence since 1999. Pay per click networks that compete with Google display ads have an issue in that premium website inventory tends to be monetised through Google Adsense on the publisher side and so it often attracts lower quality placements. This is true of 7Search where quality can be erratic, but countering that is the fact that their click pricing is incredibly low meaning that cost-per-acquisition targets may still be met. So, there you have it. Google Adwords will continue its shift towards corporate ad budgets and to turn its back on affiliate marketers, but there are options for both desktop and mobile traffic. Don’t forget – I will be writing my guide to mobile traffic sources over the next few weeks, so please subscribe to this blog (email box on right sidebar) and I promise to keep you interested! Hi everyone, it’s my first visit at this site, and paragraph is actually fruitful for me, keep up posting such articles.